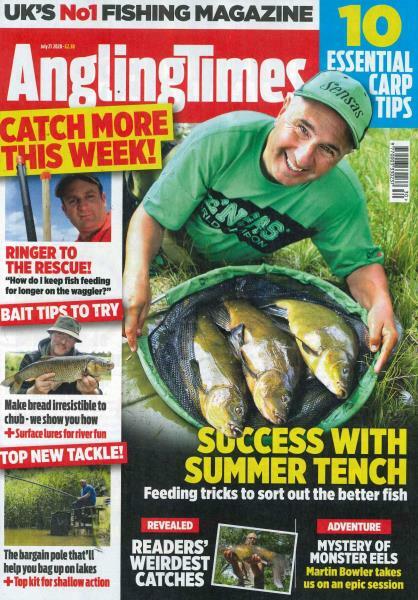 Angling Times is the only weekly newspaper for ALL anglers with dedicated News, Carp, Match, Where to Fish, and Tackle. Buy a single copy or subscription to Angling Times magazine. Britain’s biggest-selling fishing weekly delivers exclusive, cutting edge stories and tactics from the sport’s most important fish captures. Specimen, carp, predator, sea and game – every significant fish will hit the headlines. We’ve also got a dedicated team of writers bringing you the week’s money-saving deals from the nation’s fisheries, tackle shops and holiday companies. If you money’s tight this year we’ll get you a bargain. Plus now includes new sections; bargain hunter, under a tenner, last minute holiday offers, and 2 for 1 deals at fisheries and tackle shop tokens. Every week we’ll be dedicated to bringing you the best competitions - giving away all the hottest new launches on the market.